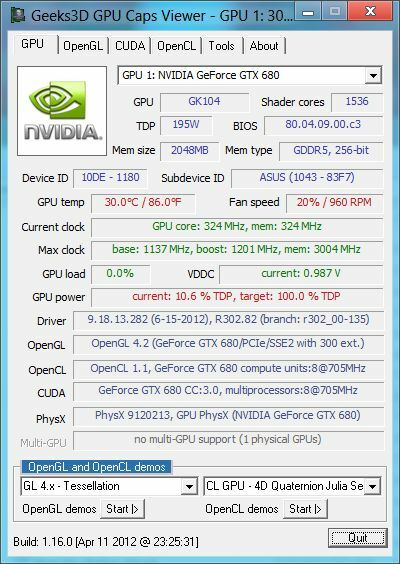 NVIDIA has published the first WHQL driver for Windows 8 (Release Preview) for all GeForce cards. R302.82 comes with few bugfixes only. Two reboots have been required to complete the installation of R302.82 (not the case with R302.80 beta). R302.82 is based on the r302_00-135 development branch and exposes 300 OpenGL extensions like R302.80 beta.